I am Head Instructor and founder of Krav Australia, we are based in Alice Springs Australia. Welcome to Our Krav Maga Australia Website and thank you for visiting my website. I run a very busy security company in Alice Springs, Australia where we deal with a lot of crime. My men are on constant active duty, they put our lives on the line every day to ensure community safety. Krav Maga is always our No. 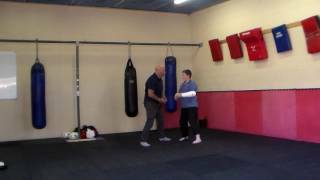 1 line of defense, and have proved that IKI Krav Maga techniques work. It minimizes our men’s injury levels during altercations. Our business involves Krav Maga Training, Anti-Terror Security, VIP Protection, K9 Services and many more crucial life saving elements. Please look through my site and be sure to contact me to learn more about training and protecting yourself and your family.